Elizabeth G. “Bette” Cox grew up in Florence, South Carolina, in the heart of the Pee Dee region of South Carolina. She attended the University of South Carolina at Florence, now Francis Marion University. In 2006 she completed the coursework from UCLA-Davis and received a Certificate as Oral Historian. She has two children, two grandsons, two great-grandsons and two great granddaughters. She and her husband Tim Cox opened a business services company, Executive Services of the Pee Dee, Inc. in 1986. The company was closed after Tim’s death in 2006. A lifelong citizen of Florence, Bette has been an active worker for conservative causes for many years. For several years Bette wrote a regular newspaper column titled “Family Memories.” This site includes many of those columns. Articles told stories of her life growing up in Florence, or recounted interviews she did with others about their lives growing up. She was the host of “Talk With Bette,” a weekly radio talk show dedicated to community activities and issues on WOLS-1230 AM in Florence for several years prior to that. Bette is an active member of Trinity Evangelical Presbyterian Church in Florence, South Carolina where she served as church pianist for a number of years, retiring from the church music staff in 2014 to devote more time to serving in other capacities. A Bible student and teacher for over thirty years, speaking, teaching, and writing many articles and Bible study guides, Bette’s special interests are healing and the Gifts of the Holy Spirit. She formerly wrote and published a devotional newsletter, Esther’s Petition. Click on the Blogroll link to read the current issue, now on-line. 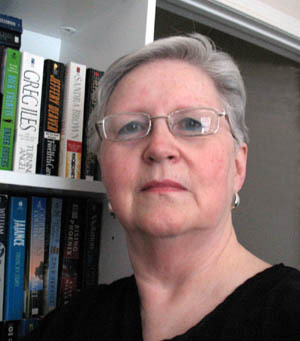 An avid reader as well as writer, Bette has authored several family biographical articles, several humorous short stories, one full-length mystery novel (Defending Blade) and one online humorous serial mystery novel (The Simsville Inheritance). She also writes several other blogs — see the Blogroll links. You may contact Bette at bettecox@twc.com. Thanks for reading.